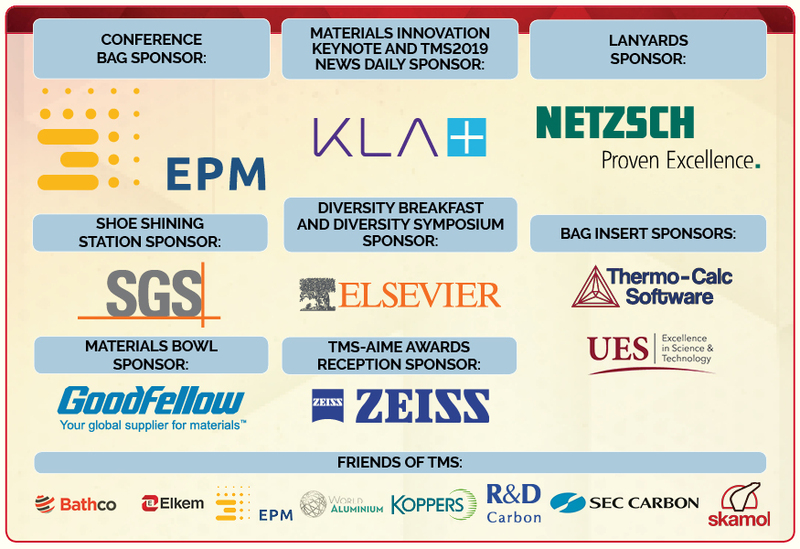 Join your colleagues from more than 70 nations at the meeting that the global minerals, metals, and materials community calls home. 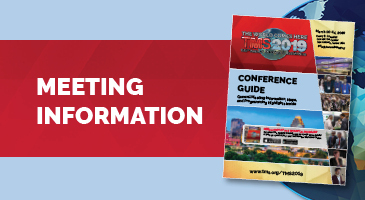 Download the TMS2019 App for your mobile device or build a personalized itinerary for the week through the TMS Personal Conference Scheduler to finalize your plans for the TMS 2019 Annual Meeting & Exhibition. Scheduling Tools are now available through the Attendee Toolbox section of the website. Plan now to make the most of your week in San Antonio! Download venue maps, information on networking events and special sessions, and the calendar of events. 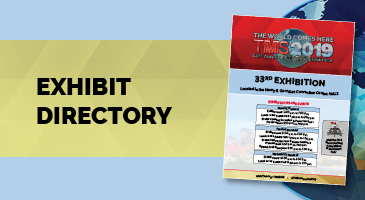 Download the exhibit directory to learn more about the exhibitors you’ll meet at TMS2019. 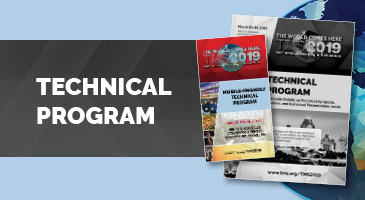 Access a traditional download or a mobile PDF version of the TMS2019 technical program to plan your schedule. Sponsor list current as of March 4, 2019. For more information about this meeting, please complete the meeting inquiry form or contact the TMS Meetings Staff.